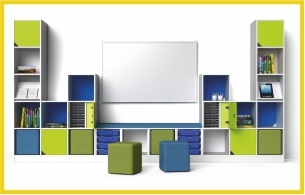 For reception classrooms and early years. 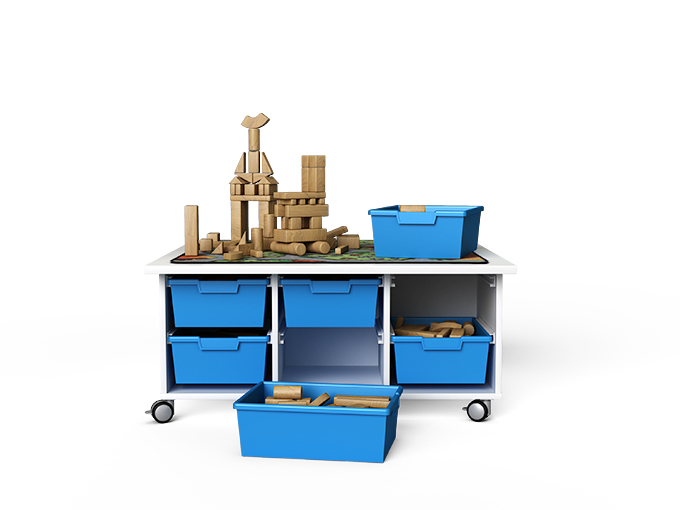 Storage underneath, play surface on top at the perfect standing height for little people (Early Years to Reception classrooms) all mounted on castors so you can move it around. 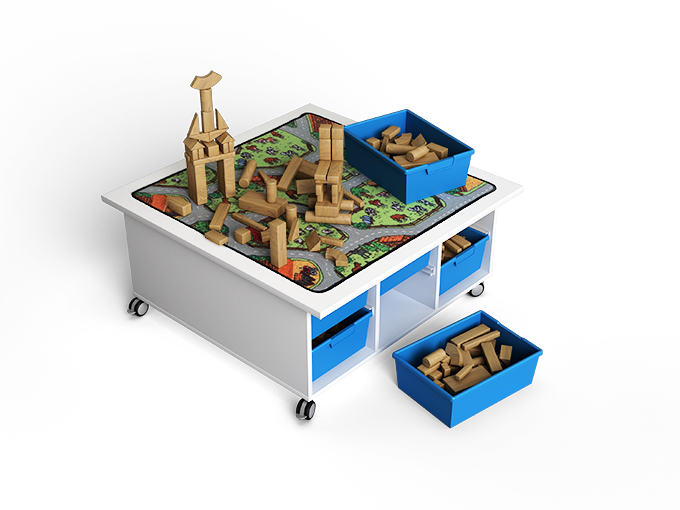 Ideal for small world and construction creative play.